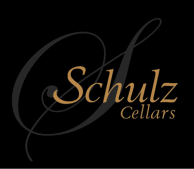 There’s always lots happening here at Schulz Cellars; new releases, limited production wines, special events. Make sure you are not just in the know, but first to get our wines! Just sign up for our Allocation Club. In addition to the Schulz Cellars wines you already know and love, you will enjoy access to unique wines only available to members (think: certain single vineyard designates and special bottlings). You pay no fee to join, and you may cancel any time after you receive your first shipment. Simply choose a club option and fill out the form below. We will take care of the rest. 1 bottle of each new release shipped only in the spring and fall. 10% Discount on wine club shipment and reorders. Option to customize wine order. 2 bottles of each new release shipped only in the spring and fall. 20% Discount on wine club shipment and reorders. In addition, you'll receive tasting notes and sometimes other goodies that we are sure you will enjoy. - You must be 21 years of age to apply.